188bet Asian Handicap Betting is perfect for football fans looking to level the playing field and bet on stronger odds and fewer outcomes, dramatically increasing their shot at walking away from a match with a prize. Unlike the more popular form of Match Price betting, Asian Handicaps do away with a draw as a viable outcome, reducing the bet outcomes to just two. Asian Handicaps let players reduce the risk of losing, providing the player their stake back if the handicap is only equalled, rather than overcome. What is the selection of Asian Handicap bets at 188bet? 188bet has one of the better selections of Asian Handicap odds on the web. 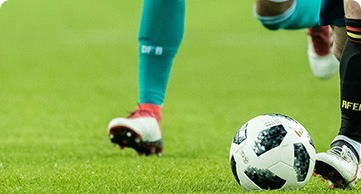 Players can be on the British Premier League, first and second divisions, as well as many leading European leagues, including the German and French FL. Football fans can bet upon straightforward match total outcomes, in addition to half goal Asian Handicaps (eliminating the chance of a draw outcome) as well as scattered bets (also known as Double Asian Handicaps) which let players wager their stake on multiple outcomes. What are the Asian Handicap betting odds at 188bet? For newcomers to Asian Handicap betting, 188bet offers some of the better odds and rates of return to players. Gamblers can expect in the region of 96% returns across most bets, although outside odds and in-play betting can dramatically increase the return rate. For newcomers to 188bet, there’s even more ways to win thanks to a lucrative selection of new member sign-up bonuses. First-time members can pocket a free bet welcome bonus, offering plenty of free stakes to punt on Asian Handicaps. At 188bet, all odds are displayed in decimal form, although punters have the option of viewing odds and outcomes in traditional, fractional odds that are more commonplace across most UK bookmakers. Asian Handicaps are by and large a way to make a match more even, so it’s not uncommon to see odds in the region of 1.85 – 2.05 across most handicapped matches. When live betting on more specific outcomes, these odds become longer, and the returns much more lucrative. Does 188bet provide Asian Handicap bets at Live Betting? 188bet offers some of the best live betting odds online. Live betting is essentially when players can split their bet, wagering on multiple match statistics as opposed to a simple final result. Players can cash out on a so-far successful bet at half time, or wait out the entire game to maximise their potential earnings. Players can then bet on more lucrative odds before final whistle, potentially multiplying their initial stake by massive amounts. Live betting can be one of the trickier Asian Handicap bets to master, but committed punters will find this method incredibly rewarding. A clear understanding of match statistics, team performance and other crucial performance factors is a must to succeed with this method betting. As with most UK bookmakers, Asian Handicap odds are relatively simple to get to grips with. A goal handicap is usually displayed at the right of each team name with a plus, minus or 0. A ‘-1’ means the team is handicapped by a single goal, and must score an additional goal on top of their actual score in order to overcome it. A ‘+1’ handicap might be applied to a lower-ranked team, and means they’re essentially given a one goal head start. Half goal handicaps may also be applied, and are usually written with a decimal point (i.e. +0.5, -0.5, +2.5 and so on). Odds on outcomes are also written in decimal form at 188bet. Odds written as ‘1.80’ for example, pay out at a rate of 1.8 times the original wager. If a player bets £100 on a team to win at odds of 1.80, they’ll receive back 100% of their wager, plus a further 80% (so £180 total). Are there any special rules for betting with Asian Handicap at 188bet? Anyone familiar with Asian Handicaps will have no trouble getting to grips with the rules of play at 188bet. In addition to betting on team victories, 188bet gives players far more choice than other online bookmakers when it comes to taking a punt on Asian Handicaps. For punters looking for more ways to win, this online bookmaker offers some of the best deals and promotions for sports betting you’ll find anywhere on the web. It’s possible to pocket free bets and no-deposit bonuses, although some wagering restrictions apply. Unlike online casinos, wagering restrictions aren’t as stringent as with sports betting, meaning players can pocket their winnings sooner rather than later, and without the added hassle of making multiple deposits to their play account. The simplest way to play with Asian Handicaps at 188bet is with plus and minus goal handicaps. At 188bet, a match with Asian Handicap odds might look like something like this: Team A -2 (2.00) vs Team B +2 (1.90). Here, players can win, lose or receive their initial stake back as a push. With these betting odds, Team B have been given a 2 goal head start to make the match odds more even. Team B will need to win the match, or lose by a single goal for the bet to be paid out at a rate of 1.90. If Team B are defeated by more than 3 goals, the bet is void and players will lose all their stake. If Team B loses by 2 goals only, the player receives back their entire stake. The same rules apply in the other direction. If Team A win by 3 or more goals, you’ll have your bet paid out at a rate of 2.00. If Team A wins by only a single goal, or fail to win altogether, the player will lose their entire wager. If Team A only scores 2 goals, they’ll have failed to overcome the handicap, but will still have met it. Therefore, players receive their wager pushed back.